Light infantry armed with riffles. 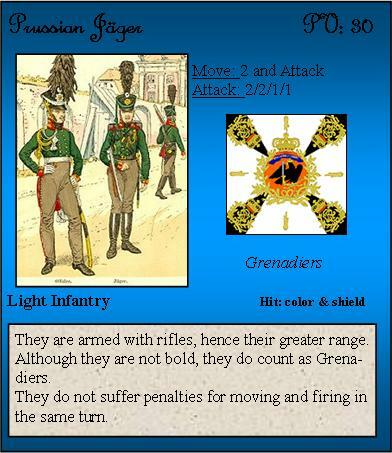 Note that they are genadiers (guards) but are not bold. The guards of the Prussian army. 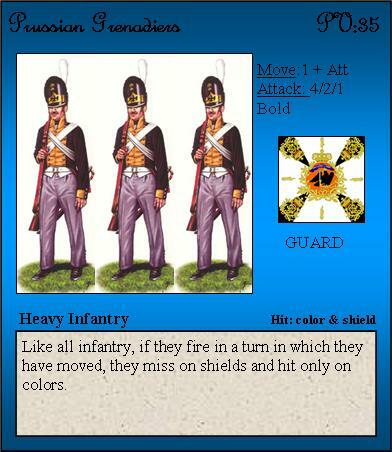 - Activate them on top of the units activated by your command card. They may move but not fight. These counters may NOT be combined. You may only spend 1 counter per turn per unit. 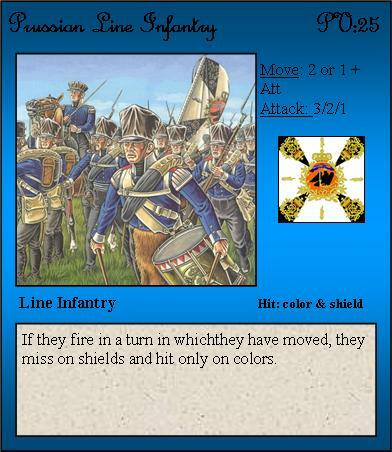 A Landwehr unit that kills an enemy figure gets 1 extra counter. A unit may not have more than 2 counters. 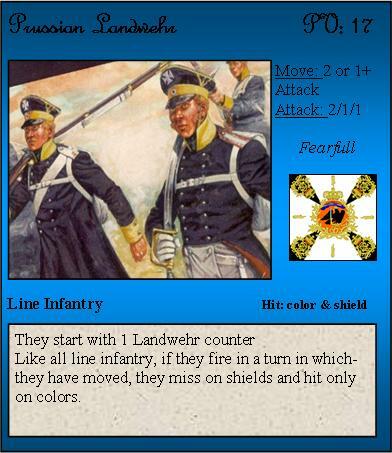 A Landwehr unit that looses a figure, also losses a Landwehr counter (if they have any). 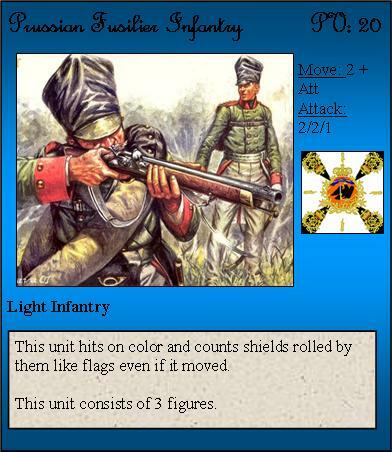 Prussian light infantry. Ideal for disrupting the enemy advance. equipment from the French, while England was providing money to keep up production of muskets and uniforms in the motherland. 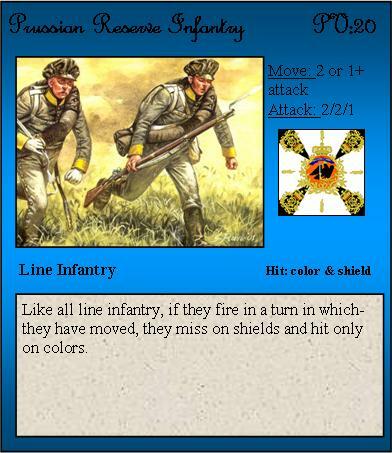 Prussian line infantry was usually reinforced with reserve infantry and Landwehr when taking to the field.